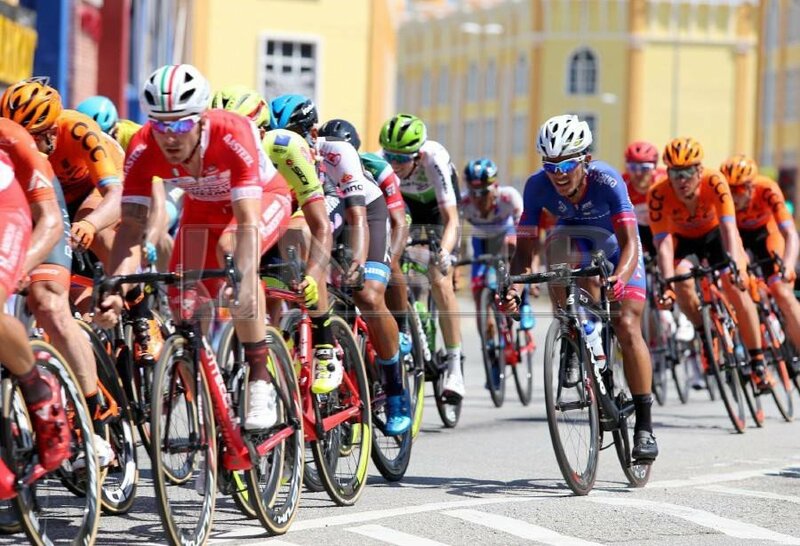 ONCE the jewel in the crown, Asia’s first world-class cycling stage race, it is hard not to notice how Le Tour de Langkawi (LTdL) has slumped into oblivion. merely kept the race alive since 2006. Let us not forget that it was in 2006 that the government had to step in with firstly a RM10.7 million bailout package to save the race after then organiser, First Cartel Sdn Bhd, had run into financial trouble after two years of a new management taking over the company. The bailout package was followed with a RM28 million budget for the 2007 edition of the race, as then sports minister Datuk Seri Azalina Othman Said set forth a temporary measure for the government to save the race and nurture it back to good health before handing it back to the private sector. Everyone should remember that between its inception in 1996 and 2006, Le Tour de Langkawi, the brainchild of Prime Minister Tun Dr Mahathir Mohamad, had been managed by a private company and fully funded through corporate sponsorship. In that period, the government only ever provided token sums of sponsorship of between RM50,000 and RM300,000 of the annual budget required to run the race, of between RM15 million and RM24 million. LTdL has, thus, long outlived the word “temporary”, as the bailout package has been extended to what would be 13 years with the conclusion of this year’s edition. This is because, never in the past 12 years has there been a serious effort to ease the Youth and Sports Ministry of this burden. Those in charge were more than happy to accept their failure to secure private funding and return to Menara KBS with proposals for simply the amount of money the government needed to fork out for the organisers to run the race. For a period of between 2007 and 2014, this failure was adequately disguised as an event “co-organised” by the ministry and the Malaysian National Cycling Federation (MNCF), with private sponsorship merely covering minute fractions of the cost, mainly in kind. It wasn’t until the previous sports minister Khairy Jamaluddin ordered an internal audit into LTdL’s accounts in 2014 and discovered mismanagement of funds channelled to MNCF, resulting in the national body’s suspension. MNCF should be thankful that only corrective measures were taken in the ministry’s disbursement of funds and not punitive measures such as criminal proceedings. The following year, Human Voyage Sdn Bhd, a company founded by ex-national cyclist Datuk Malik Mydin, was appointed, but with a lowered budget of RM11 million, with a plan to gradually reduce the financial burden on the government. After getting through the 2015 edition, which Malik himself admitted incurred losses, the company pulled out of it and the ministry then appointed Ciclista Sdn Bhd to run the following three editions. Then, after a change of government last year and the end of Ciclista’s contract, a tender for the organisation of the race was opened, eventually seeing Human Voyage appointed for a second time on a three-year contract, beginning with this year’s edition. Immediately, those who lost out on the contract began a smearing campaign, alleging cronyism, with Malik being an aide of Dr Mahathir. This was taken to another level, with poison pen letters sent out to the media warning that this matter will be used against Pakatan Harapan in the coming Semenyih by-election. What was not addressed, however, was the fact that other companies vying for the contract, included those previously involved in the race. Thus, they, too, had not succeeded in solving the main issue, having been given sufficient time, funding and freedom to do so. Instead of seeking to reduce the burden, they all celebrated increases in government funding, while happily providing excuses that they tried and failed to secure sufficient corporate sponsorship. With the cost to the ministry since 2007 now more than RM250 million and counting, LTdL is obviously an heavy annual burden on ministry coffers. With budget cuts across the ministry creating more and more uneasiness among the agencies, this simply gives Minister Syed Saddiq Syed Abdul Rahman just one option. The current organiser should establish a pathway that the race is fully privately funded again. If it is true that cycling has established itself as among the most popular sports in the country, and if LTdL still holds high value among corporate sponsors, then this should not be a problem. If the private sector isn’t as interested as the race funding requires them to be, then the signal is clear. With its lustre long lost and taxpayers watching closely where the government is spending their money, it could be time to put that final nail on LTdL’s long prepared coffin, unless Human Voyage is capable of solving this problem. What's going to happen to Le Tour de Langkawi next year?